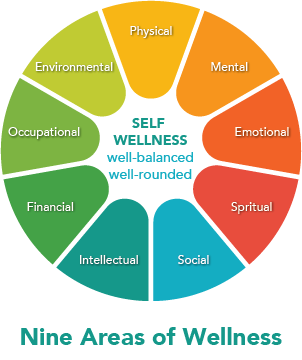 The Wellness Team at Northaven strives to promote successful aging via collaboration, education, relevant programming and creative engagement in the nine areas of the Wellness Wheel. Staff and residents work together to make this happen through a Resident Council and a Life Enrichment Coordinator. We want you to stay fit and be well. We have have a full array of fitness classes, including yoga, strength, flex, core, stretching, balance and meditation classes. We also offer classes in Tai Chi, ballet and dance. All our classes are designed to meet you at your level of fitness and help you grow. We also have personal trainers who can work with you on a personalized fitness plan. They can also help you with a rehabilitation plan after a surgery. Staying physically healthy is key to living well, but we also give you plenty of opportunities to exercise your brain. People work on puzzles and quizzes together. You can participate in book clubs, current event discussion groups or attend an interesting lecture or join a Spanish class. Our Resident Service Coordinators will help you navigate Social Security, Medicare and Medicaid benefits. They can make referrals for you and your family members to appropriate community resources and provide general education and support. They also lead a monthly book group, organize lunch, shopping and movie outings and recruit interesting speakers. They facilitate a monthly low-vision support group, a garden group and a diabetes support group. Our staff Wellness Nurse sees residents in our Wellness Clinic three afternoons a week. The nurse can connect you to resources when you need additional support due to a change in your medical status or condition. The nurse can do blood pressure and blood sugar checks, as well as provide foot care. All of these supportive services are designed to help you stay healthy and able to live independently. You have access to acupuncture, audiology, chiropractic care, massage therapy, denture care and eye glass care and repair from trusted practitioners who come to Northaven on a regular schedule. Four to five times a year a mobile dental van provides dental care to residents who cannot afford regular dental care.